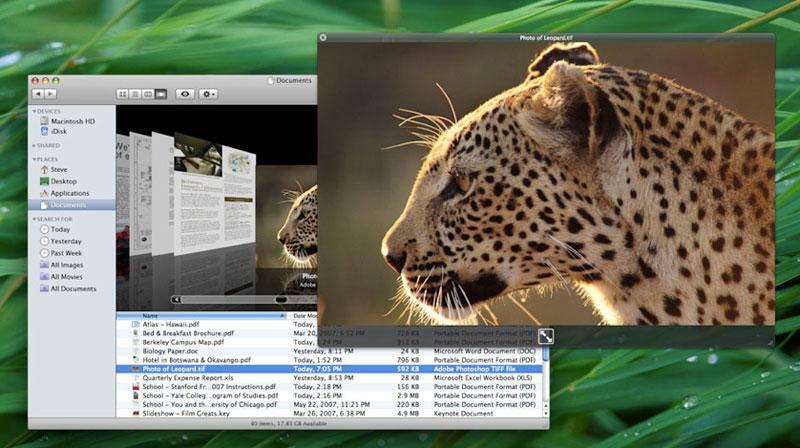 What is interesting about Leopard's Finder is that despite its appearance update and practical new features, there isn't a lot that has obviously changed. There aren't piles of features tacked on, or lots of new preferences, or slide out drawers that provide access to the Terminal, or a clutter of new buttons to learn. 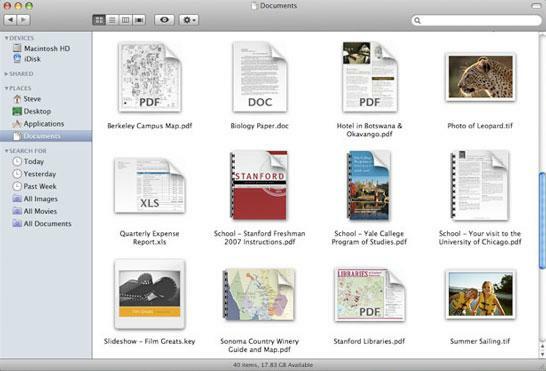 Despite being "all new," the Finder is really a clean refinement of what we already have in Tiger. There are also a series of other helper applications that integrate into the Finder or desktop that are so tightly bound to it that they appear to be part of the Finder itself. 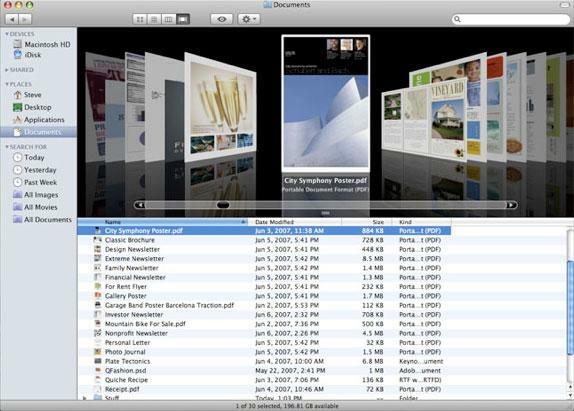 For example, the Archive Utility is called to create or unpack archive files such as Zip archives, and CD and DVD disc burning and DMG file mounting are Finder features provided by other helper apps. Perhaps most striking about the Leopard Finder is that it continues to use the old Amelio-era, two tone blue grinning heads logo. Apple wiped away a variety of other icons and replaced them with new ones —including the System Preferences icon that adopted the new iPhone style gears icon. However, it left the old Mac OS face at the end of the Dock. Surely Steve Jobs can't like that goofy icon, but it appears to be stuck there.